Subject’s motion during brain PET scan degrades spatial resolution and quantification of PET images. To suppress these effects, rigid-body motion correction systems have been installed in commercial PET scanners. In this study, we systematically compare the accuracy of motion correction among 3 commercial PET scanners using a reproducible experimental acquisition protocol. A cylindrical phantom with two 22Na point sources was placed on a customized base to enable two types of motion, 5° yaw and 15° pitch rotations. Repetitive PET scans (5 min × 5 times) were performed at rest and under 2 motion conditions using 3 clinical PET scanners: the Eminence STARGATE G/L PET/CT (STARGATE) (Shimadzu Corp.), the SET-3000 B/X PET (SET-3000) (Shimadzu Corp.), and the Biograph mMR PET/MR (mMR) (Siemens Healthcare) systems. For STARGATE and SET-3000, the Polaris Vicra (Northern Digital Inc.) optical tracking system was used for frame-by-frame motion correction. For Biograph mMR, sequential MR images were simultaneously acquired with PET and used for LOR-based motion correction. All PET images were reconstructed by FBP algorithm with 1 × 1 mm pixel size. To evaluate the accuracy of motion correction, FWHMs and spherical ROI values were analyzed. The percent differences (%diff) in averaged FWHMs of point sources at 4 cm off-center between motion-corrected and static images were 0.77 ± 0.16 (STARGATE), 2.4 ± 0.34 (SET-3000), and 11 ± 1.0% (mMR) for a 5° yaw and 2.3 ± 0.37 (STARGATE) and 1.1 ± 0.60 (SET-3000) for a 15° pitch respectively. The averaged %diff between ROI values of motion-corrected images and static images were less than 2.0% for all conditions. In this study, we proposed a reproducible experimental framework to allow the systematic validation and comparison of multiple motion tracking and correction methodologies among different PET/CT and PET/MR commercial systems. Our proposed validation platform may be useful for future studies evaluating state-of-the-art motion correction strategies in clinical PET imaging. 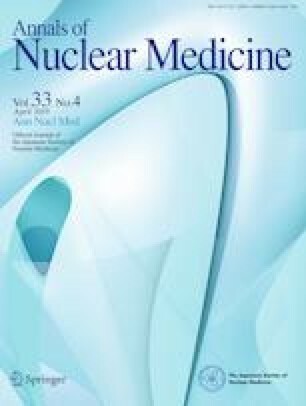 We would like to thank the research staff at Advanced Clinical Research Center, Fukushima Medical University for helpful support to our experiments. This study was supported in part by Grants-in-Aid for Scientific Research (C) (No. 15K08687) and (B) (No 17H04118) from the Ministry of Education, Culture, Sports, Science and Technology (MEXT), Japanese Government. This study was supported in part by Grants-in-Aid for Scientific Research (C) (No. 15K08687) and (B) (No 17H04118) from the Ministry of Education, Culture, Sports, Science and Technology (MEXT), Japanese Government.